Following the passage of Alternative Investment Funds into the law in Cyprus, MAP S.Platis has earned its inaugural license for Limited Persons Alternative Investment Funds (LPAIF), targeting professional investors. Cyprus-based MAP S.Platis advises a number of leading FX brokers and investors alike, resulting in the successful bid for a Cyprus Securities and Exchange Commission (CySEC) license for Plus500 earlier this year. Map S.Platis boasts an impressive track record, having consulted and registered over 55% of all Cyprus Investment Firms (CIFs) and nearly 70% of all CIFs dealing in FX. Despite shortcomings in the Cypriot banking sector in recent years, Cyprus is as a key nexus for both FX and fund management. 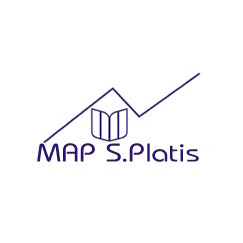 As part of an initiative to grant exposure to investors in the region, MAP S.Platis has authorized its MAP Opportunity and Growth Fund, the firm’s first LPAIF. Cyprus presently maintains highly favorable funds-specific tax regiments for investments, making it a popular destination for brokers and firms.